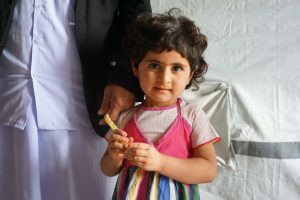 Karina was born in March of 2014 in the Iraqi Sinjar region, just 5 months before ISIS invasion. According, she had to flee spending a difficult time on the road to safety as an infant but hopefully, she does not have the traumatic memories of that experience. Especially, during these days, she lost one of her brothers, who was on regular dialysis because of the kidney failure and could not receive the health care needed. 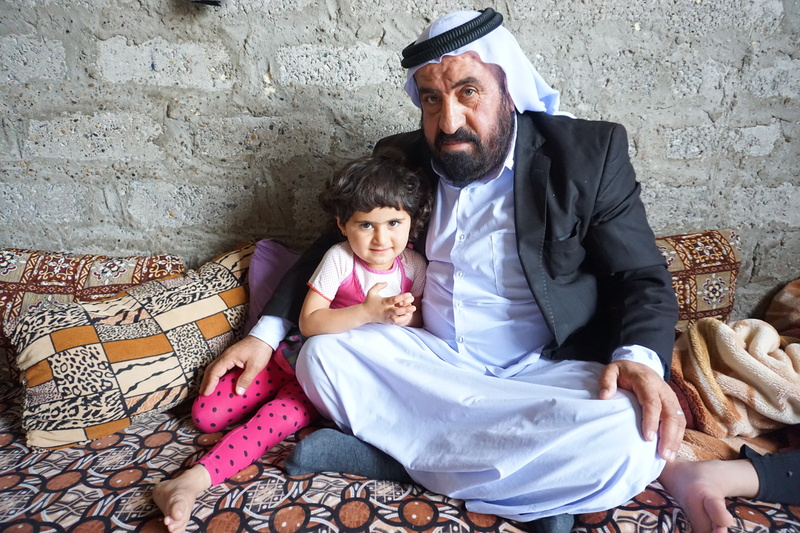 Since then, Karina has been growing up displaced in Iraqi Kurdistan. Her family has found a place to live in the unfinished and very modest house with 4 unfurnished rooms. She has 10 siblings and they are sharing this house with 3 more families, which means around 15 other people. Fortunately, they do not need to pay a rent. The only income for the family is the job of one of Karina’s brothers, which is barely sufficient for the alimentation of the family. When Karina was 1 year old, she started suffering from erratic convulsions and according to her parents since then she stopped reacting sounds. Specialists could not help her suggesting Karina required a hearing aid. The family could not afford to buy it due to their poor financial situation so Karina has never learnt how to speak properly. Thanks to the French Association for the Aid of Youths with Disabilities and People with Handicaps (Association pour l’Aide aux Jeunes Infirmes et aux Personnes handicapées), at the age of 4, Karina received her first hearing aid and she could start to learn how to speak, so her future will not be stigmatized by her disability.